gallery night Providence - THURSDAY’S HOTTEST TICKET IN THE CITY! Meet us at the Regency Plaza on April 18th to experience Providence’s thriving art scene! Above photos courtesy of our Gallery Night Photography Interns! join us for a fun and free evening in downtown providence. Art bus tours START AT 5:30PM ON THE 3RD THURSDAY OF THE MONTH, MARCH - NOVEMBER. Here's a guide to the most exciting art events, gallery openings, and art happening around Downtown Providence, and beyond. See below for information on current exhibitions at our member galleries! Make sure you visit the galleries page to find out all about our 2019 galleries! The THREE art pieces for the Gallery Night 2019 Season! Providence Gallery Night will have special walking tours during PVD Fest! Stay tuned for more information as June approaches! Learn more about PVD Fest! Mother’s day is coming up on may 12, 2019! Make it extra special by Shopping at the link below and Amazon Smile donates to Gallery Night Providence! 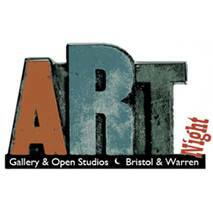 If you love Gallery Night Providence- Check out Bristol/Warren Art night, and Newport Gallery night!